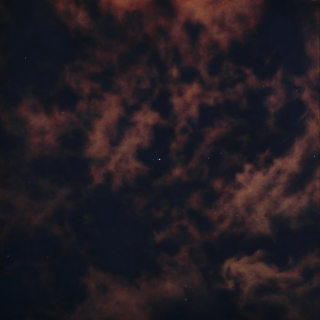 artist’s fourth solo show at Acquavella, and will feature twelve new landscape paintings, all depicting astronomical objects and events as seen from Earth. This landscape exhibition continues Loeb’s exploration of how our understanding and assimilation of firsthand experience is affected by our constant exposure to new media. Acknowledging the history of astronomical illustration and informed by the advancements in digital imaging, the artist’s work employs the language of classical landscape painting, complemented by an obsession with new media and technology consumption. The monumental compositions and meticulously specific depictions of celestial tropes are infused with a contemporary cinematic vocabulary. Dedicating several months to each painting, the artist’s work reflects a fascination with two worlds – the analog and the digital, and expresses a forebodingly fatalistic view of nature and the universe. “The paintings appear to be the product of advanced technology,” explains Nick Acquavella. “As marvelously detailed as the works appear, Damian’s goal isn’t to create perfect reproductions of outer space. Rather, he wants to convey the universal and ultimately humbling sense of awe he experienced when he was first looking through his lens.” All of these paintings are based on images from Loeb’s many ‘amateur' photo safaris. He has captured the aurora borealis flying 50,000 feet over the Dakotas, the depths of the Milky Way from the beach in Maui, and constellations and clouds from a backyard in Long Island. From the artist’s rooftop in downtown New York City, he has photographed planetary conjunctions, the position of Jupiter and its moons, the rings of Saturn, a lunar eclipse, solar flares, and both Venus and Mercury passing in front of the Sun. The show's title is taken from the standard abbreviation for Sagittarius A*, the supermassive black hole at the center of our galaxy. Understanding the hierarchy of our place in the vastness of our possibly infinite surroundings inspires this body of work. Grand and graphic, these paintings celebrate the play between the micro and macro forms within each scene. Scale and composition are used to elicit a particular emotional understanding of each tableau. 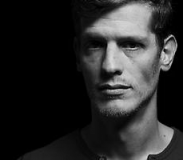 Damian Loeb (b. 1970) has had solo exhibitions at galleries and museums worldwide, including a 2006 Aldrich Museum of Contemporary Art retrospective of his work. He lives and works in New York City. The exhibition will be accompanied by a fully illustrated catalogue. Need to put things into a cosmic perspective? Head to Acquavella Galleries in New York for Damian Loeb’s solo exhibition, Sgr A*—after Sagittarius A*, the black hole at the centre of our galaxy—which opens tonight, 2 March (until 4 April). 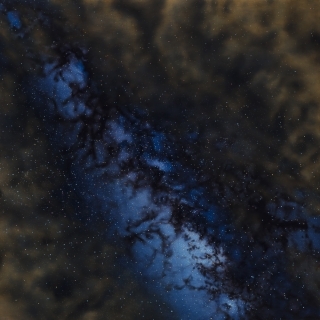 The show features a dozen new oil on linen works based on the artist’s digital photographs of the skies and astronomical phenomena, including the bright green swirl of the Aurora Borealis, caught on a plane ride over the Dakotas, and the depths of the Milky Way. Many of the images, such as the tiny black spot of Mercury in front of the sun or Jupiter and its moons, were, surprisingly, shot from the rooftop of the downtown Manhattan building where Loeb lives and works. The autodidact artist transforms the images into meticulous paintings in his basement studio, a tech and gadget lover’s dream, with live video feed of the city (which can zoom in on buildings to an almost disturbing degree), drawers full of digital cameras and lenses and a nook outfitted with recording studio equipment that the artist has rejigged so that faders can be used to flip through or manipulate images. Observing and shooting the sky is a cathartic experience for Loeb. “The Earth and all of the BS on it is a very small part of the universe,” he says. 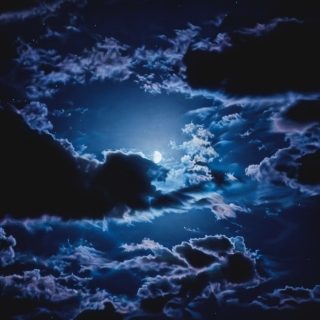 The New York artist has been studying astronomy and high-tech photography to produce works that reveal the wonders of space. 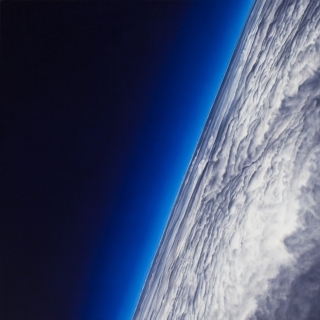 Out of this world: Damian Loeb's celestial paintings at Acquavella Galleries. 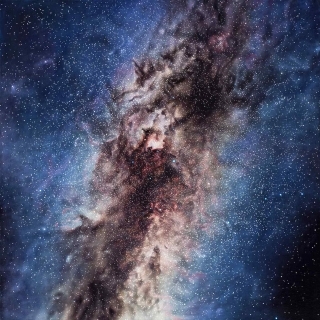 The artist's new series explores visions of the universe.